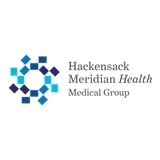 HMH Medical Group Primary Care, Manalapan (Manalapan Township) - Book Appointment Online! Dr. Sharma is extremely caring and knowledgable . She makes you feel so comfortable , takes the time to listen, and never makes you feel rushed. I wish more doctors were like Dr. Sharma! I have been seeing Dr. Rossi for several years. She is warm & caring as well as highly professional, knowledgeable & efficient. I completely trust putting my health care needs into her very capable hands.